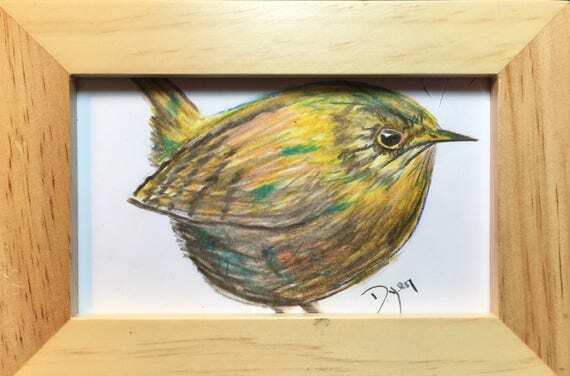 Art Prescription: I’ve had bluebirds building a nest inside a box in the yard for a month. Curious about this behavior, I asked the crew at Carolina Birders. Evidently these birds are building an alternate nest. While the pair takes care of sitting on eggs or feeding current fledglings, they spend their mornings building another nest. So if something happens to the first nest they have a new nest to lay eggs in or they may just use it as the next home. Fascinating how nature equips itself with procreation!! Art Prescription: I was sitting outside when I heard a sudden ruffle of wings. A hawk swooped in after a morning dove in the trees. Lucky for the dove, the hawk went hungry. The yin and yang of nature. 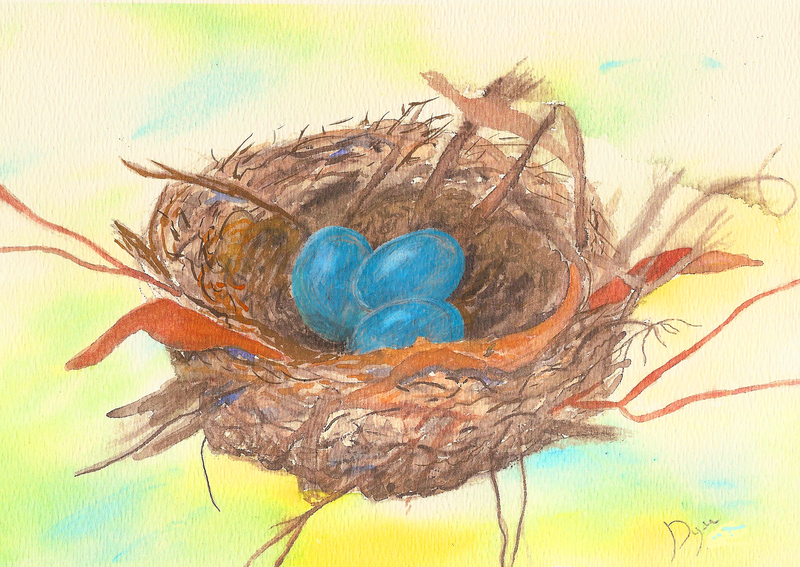 Art Prescription: Discovered this nest when eggs were laid. Now spying on the biddies. Art Prescription: Feeling much like a princess in a palace, I’m home!! Home with my creature comforts, and everything else that makes my heart sing.